Android 6 Marshmallow is already released now and Nexus are the first devices which are powered with this new Android OS. Now, a senior XDA Developer Forum member, CraZY_BoY released the unofficial CyanogenMod CM13 Android 6 Marshmallow Custom ROM for the Oneplus one android smartphone. Android 6 is packed with some awesome feature like faster Chrome browser, new security feature verified boot system, Google photos and auto back-up and lots more. And most the CyanogenMod fan know that the CM ROM are also packed with some additional features. So if you want to test the CM 13 ROM on your phone. Here is the complete tutorial which you can follow on your phone and update the same within few minutes. All you need a rooted phone with TWRP recovery. This guide only for the Oneplus one user and don’t apply this method on Oneplus 2 or any other smartphone. Before following this guide do take the backup of your phone and save it in some safe place. Read all the steps very carefully and follow all the steps one by one on your phone. We are not responsible for any damage or claims from readers if the procedure is not followed properly. Hence, users are advised to proceed with caution. We would like to remind our readers that this new CM13 custom firmware is an experimental test build (Alpha), so there might be some bugs in it. Step 1. As we mentioned above to do this you need a rooted phone with TWRP. 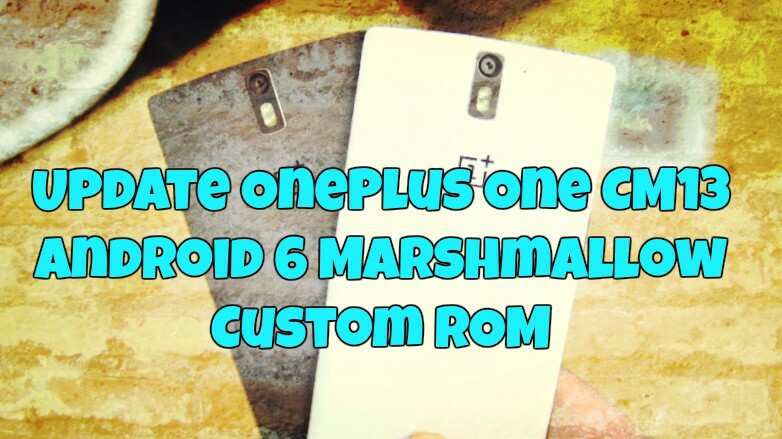 Here is the guide to root Oneplus one and Install TWRP. If you already done that, then go to the Step 2. Step 4. Once both the files are downloaded on your phone. Boot your phone into TWRP Recovery Mode. To do this Turn off your phone and Turn on the phone while holding Power and Volume Down buttons. Step 5. From the TWRP recovery main menu, Go to Wipe and select Advanced Wipe. Step 7. Now go back to main menu of recovery and go to Install and find the zip files you downloaded. First boot will take some time, wait for 10 minutes to install the updates. Now your phone is running on the CM 13 Android 6 Custom ROM.